Emilia and Teo's lives change in a fiery, terrifying instant when a bird strike brings down the plane their stunt pilot mothers are flying. Teo's mother dies immediately, but Em's survives and is determined to raise Teo according to his late mother's wishes - in a place where he won't be discriminated against because of the colour of his skin. But in 1930s America, a white woman raising a black adoptive son alongside a white daughter is too often seen as a threat. The book, yes! 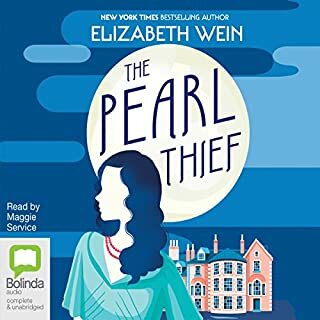 I loved Elizabeth Wein's companion to this, "Code Name Verity". Even Maddie makes appearances in both books... But as an audiobook, I don't think I would recommend it. Sasha Pick has a cartoonish voice for Rosia, which made me want to cover my ears in protest. And her German and French pronunciations are also off. It did. As an American narrator, I did enjoy Sasha Pick, but for foreign accents (French, Polish) and Rosia's character in particular, I didn't enjoy so much. Read the book, skip the audio, unless you can get this book on sale like I did. I waited a while before writing this review in hopes I’ll have a better idea of how to express my feelings. As it turns out, I don’t. I was expecting a heart wrenching beautiful and historically accurate story, based on what I experienced with Code Name Verity, but I was still blown away by it. They were as good, I’m even tempted to admit I enjoyed this one better, but it is still so fresh in my heart I feel a bit biased saying that, but they were still so different from each other. They are definitely two different stories, with a common theme and some shared characters. I was ecstatic to see Maddie and Jamie (I’m sorry if I didn’t get the spelling of their names right, but I listened to the audiobook, so I didn’t get the chance to read it) again and to see they were well and happy. It was just a glimpse because they are not the centre of this story, but I was glad to get it. I wasn’t surprised, though, to learn a bit about them and how they were coping with Julie’s decease, yet I was not expecting to run into Engel again, and trust me, you’ll find her in the most unexpected place. When it finally dawned on me it was her, I was agape! It was awesome that Rose’s path crossed with her’s in such a way. Masterful, even. Speaking of masterful, this story totally sneaked up on me. I thought it would go straight to the action, like Code Name Verity where we learn straight ahead that Julie had been imprisoned. Not this time around. I didn’t read the synopsis beforehand so I didn’t know what would happen, and I really didn’t know what to expect, but this story was slowly showing its deep layers. Plus, it was great to see how Rose had changed after experiencing the hardships the war brought on her. I loved the fact that Rose was a poet, and I loved every one of the poems she wrote at camp. I also didn’t miss the subtlety of her last name being Justice. I loved that instead of putting the focus in one friendship, we got the focus on a wonderful group of people. 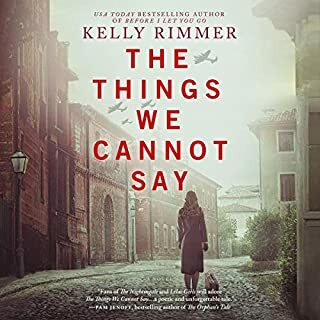 But most of all, even if the author was careful in portraying the horrors that went on in a Concentration Camp, I loved that the main centre of attention was solidarity, love and the strength of human race. I hate what happened during WWII, but it wasn’t only a show of our worst features as humanity, if you look careful enough you’ll also be able to see it was also a demonstration of our best features and strengths. I also enjoyed very much that the story wasn’t set in a Jewish Concentration Camp, which, as it turned out, were a bit different from the prisoner’s camp as the one Rose was in (I won’t even dare try to spell that). I liked that because they did exist, but we barely know about them, at least me. So many different types of people ended up there and their experiences were somewhat different. They deserved the spotlight. 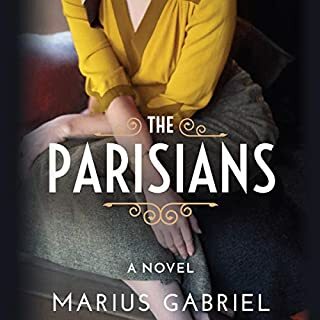 It turned out I had lots to say about this book, but I would love to end it with a mention to Elodie. I loved that character and I got so little of her. I would love to have her side of the story. She was indeed remarkable, and if I ever end up marrying a French guy and have a daughter, I shall name her Elodie. To sum up, this author is brilliant and the narrator was marvellous! They brought together a story to life. A beautiful heart warming, heart wrenching story of hope, solidarity, love and bravery in the most unexpected places. This book will live with me forever. It accurately captures the horror and the small rays of beauty within German Concentration Camps. I don’t want to make this review longer, so I’ll just add a short note on Sasha Pick’s narration. She is unbelievably amazing! She has an excellent pacing, she’s a wonderful singer, I loved listening to her read poetry, and how she made all the voices with their respective accents. She was so good at it too. Brilliant choice. I’ll be looking out for more of her audiobooks. A very powerful book. I stumbled upon the first book in this short series, Code Name Verity. I was terribly impressed. It seemed well researched, extremely detailed and highly engrossing. Even though it was dealing with a time in history and events that are well known, it still managed to surprise me. 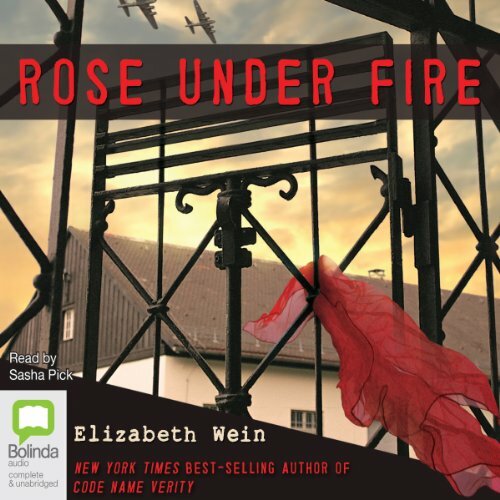 Rose Under Fire was a more difficult read and at first I did not think I would like it. The heroine was a little to perfect and perky to be believable. Then it seemed to settle down and I became immersed in the story. The perfection and perkiness soon slipped away. While the first book definitely had dark segments, much of Rose Under Fire was downright bleak. So bleak that it was sometimes difficult to continue. No matter how many times you read of the atrocities of the second World War, they can still hit you hard. Especially when told as compellingly as this book. I loved the periodic insertion of both Millay's and "Rose's" poetry. 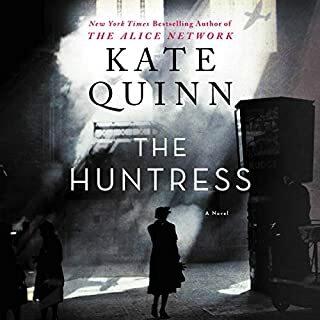 If you are not a poetry fan, that might make the book a little more difficult to push through, but I thought it only added to the context of the story and she used the alliterative aspect of poetry to further the plot line. I thought the narration was extremely well done. The voice of Rosa, a Polish prisoner was a little grating, but I think it fit the characters age, experience, personality and situation. Excellent story that needed to be told. Horrific and inspiring highlighting the unsung crimes and compassion at Ravensbruck. Well told story and good performance except for the voice of one "rabbit", Rosa, which is distractingly high, squeaky and cartoonish. Subtracts from the quiet bravery of that character. Otherwise, I would strongly recommend everyone read this important story. Would you try another book from Elizabeth Wein and/or Sasha Pick? I had listened to Code Name Verity and liked it. Not loved, but it was entertaining. Sasha Pick though is just way too over the top in her narrating style for me to deal with. I had to stop listening at times because her attempts at accents were so grating. I felt like I was watching a bad play with even worse actors. To be honest, I might not even finish the whole book, I have about 2 hours left and I just don't know if I can stick it out. Who would you have cast as narrator instead of Sasha Pick? Someone who can do bearable accents. A view into a WWII concentration camp that everyone should read/hear. Powerfully written, beautiful and tragic story, and the performance matches the content perfectly. Tell the world! A great story, great research backing it up. 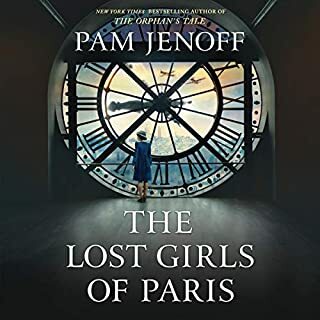 Young American female pilot, Rose Justice, volunteers as a transport pilot to the British war effort and gets captured by the Germans over France. Spends time in Ravensbruck Prison. Lives to tell the tale. The author is a pilot, so her descriptions of flying are based on personal experience; she even explains how planes fly--a little physics lesson. And she spent time at the Ravensbruck Summer Camp in order to write this book. 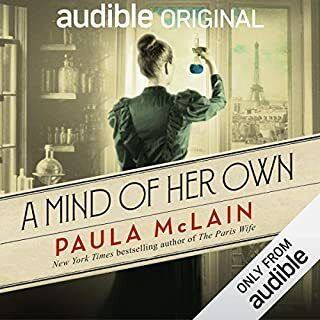 The voice actor for the audiobook was equally good; Sasha Pick must do American, British, Scottish, Polish, French, and German female voices, and most are very believable. This book had me close to tears many days on my way to and from work. I loved how it was told as if she had journaled it. All of characters voices where well narrated I thought. This was an excellent book. Information I knew very little about. A true life changing experience to hear this excellent narrator read this wonderful story. It's hard to imagine that anything like what is described happened yet it did. These despicable crimes committed against these women - my heart breaking and my eyes overflow with tears. Thank you for writing something honourable and respectful to their memories. Never again, we must never ever let this happen again.